Late summer might be the best season to read Bohumil Hrabal, for time reveals itself in the ripe air and everything bleeds with life. Hrabal, the Czech novelist of delirious syncopation, who died in 1997 falling from a fifth floor hospital window while trying to feed the birds, returns to childhood in these two novelas about the manager of a small-town brewery, his older brother, savage wife, and young son. Hrabal’s stepfather was the manager of a brewery; Maryška, the wife of Francin, the fictional brewery manager, narrates the first novela, Cutting It Short. Their son is the narrator of The Little Town Where Time Stood Still. When Cutting It Short, which Hrabal published in 1976, opens, Maryška, is lighting the lamps, waiting for Francin to come in from the brewery. “I dread the day,” she says, “the mains will be brought to the brewery and all the brewery lamps, all the airy lamps in the stables, the lamps with the round mirrors, all those portly lamps with round wicks one day will cease to be lit, no one will prize their light, for all this ceremonial will be replaced by the light-switch resembling the water tap which replaced the wonderful pumps.” Maryška’s no sap to nostalgia (indeed, quite the opposite, a woman of voluminous hunger for free-flowing life, she loves to climb the brewery’s chimney and speed around town on her bike); she’s merely setting us up for a string of electric events that will forever disrupt life in the town where time stood still. Hrabal’s full-throated prose, brought to delirious and delicious English life by the late translator James McNaughton, has the capacity to go low and high all at once, to convey meaning glossed with viscera. With each successive chapter of Cutting It Short, Maryška’s hair gains in symbolic and pelliquery weight. Blowing in the wind above the brewery’s chimney it becomes a papal flag. “Across the river,” says Maryška, “there towered the big church, at the height of my face was the golden clock-face on the tower, and round the church in concentric circles stretched the streets and lanes and houses and buildings,” time transporting the little town. In the wind, nothing will stand still. The electrode machine is followed by radio, which shortens the distance between the source of the sound and the listener, from Vienna all the way to the town’s Hotel Na Knížecí. As if hit by lightening after hearing the radio, Maryška decides to cut her locks into a slender Josephine Baker, greeting the coming modern with a sense of her own autonomy and anonymity. 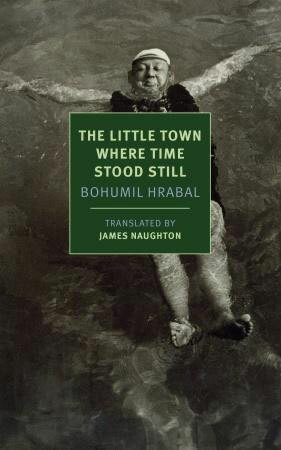 The Little Town Where Time Stood Still, which continues the story, only as told by Maryška’s nameless dreamy son, blows Hrabal into the melancholic, the tragi-comic, the autumnal, which always must come. Hrabal presses this feeling into Francin and, most elaborately, into Francin’s brother Pepin, a peripatetic laborer who comes to stay for a fortnight and never leaves. Uncle Pepin goes to work on the malting floor, where he does the hardest work and entertains the other workers. But Pepin also drinks and whores and once in a while rebels against the constraints of his respectable brother. A naïf acting out his own authentic soul against domestic repression, Pepin just wants to have fun. But fun goes stale after war (which follows the invasion of the radio) and communism comes to be. Francin loses the brewery; he and Pepin find a truck, restore it, and deliver fruit. But finally summer’s pungent bounty ends. “Uncle gazed on into the very heart of time as it was stopping,” says Hrabal, disguised as his fictional boyhood self. 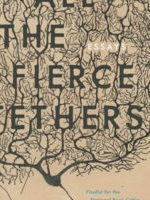 Death surpasses everything, except maybe literature, which goes on and on and on.